Truck drivers are expected to exercise reasonable caution to prevent truck accidents in Oregon. Unfortunately, accidents can and do happen in spite of that expectation. In fact, the National Highway Traffic Safety Administration reported there were 330,000 large trucks involved in accidents nationwide over the course of 2012. Truck drivers should be following the Federal Motor Carrier Safety Regulations (FMCSRs), other rules of the road, and best practices for safety to try to avoid all types of truck collisions. Accidents, however, unfortunately will continue to happen. 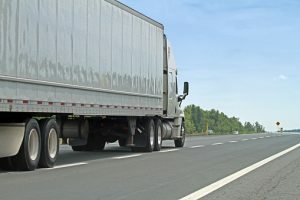 While trucks can become involved in many different kinds of accidents, there are three common types of truck crashes that often cause serious injuries and deaths. Rollover truck accidents. Trucks are top heavy, which makes a rollover more likely. Unbalanced loads can exacerbate the risk, as can worn brakes. Rollover accidents make up about 18 percent of truck accidents according to one paper published by the National Highway Traffic Safety Administration (NHTSA). The death rate is disproportionally high compared with the total percentage of rollover accidents. About 35 percent of deadly truck accidents involve a rollover. Underride accidents. Underride accidents happen because trucks are higher than surrounding cars. When a collision occurs, surrounding cars can actually get forced under the truck. The Insurance Institute for Highway Safety (IIHS) warns that side and rear guards aren’t as effective as they should be for stopping underride accidents. In 23 out of 28 deadly truck accidents included in one study, there was significant underride, so much more needs to be done to protect the public. As many as 432 people die on average each year because of underride accidents and around another 5,000 get hurt when their cars go under trucks. Jackknife accidents. Wikihow indicates this type of crash starts with a skid. The trailer pushes out from behind the tractor as part of the skid, spinning and hitting the tractor and causing loss of control of the vehicle. There are things that truck drivers should be doing to prevent these three common types of serious truck crashes. Maintaining and loading the truck properly are two of the most important steps to prevent these types of accidents. Unbalanced loads contribute to the risk of a truck rolling over, while problems with the brakes can contribute to both rollover and jackknife accidents. Jackknife accidents and rollover accidents are both more likely to happen around curves, so drivers need to be careful when going around a turn. Centrifugal force can lead the truck to start to tip away from the curve as the truck goes around it, while trying to hit the brakes quickly on a curve can cause loss of vehicle control leading to a rollover. Truck drivers need to operate within the speed limit, maintain and load their vehicles properly, and avoid sudden braking to try to prevent all of these dangerous types of crashes from occurring. When they don’t, victims of truck crashes can and should hold them accountable. A massive, weather-related series of crashes resulted in one death and the shutdown of Interstate 5 near Portland for several hours recently, after some 28 cars and tractor-trailers collided. The pileup occurred around 10 a.m., with several other crashes reported around the same time elsewhere on the interstate. Fire and rescue officials reported the weather conditions changed rapidly, causing the pileup to unfold quickly. Officials say two major wrecks occurred at the same time, while several dozen other smaller accidents were also happening simultaneously. The Portland car accident attorneys at Zbinden & Curtis recognize that these kinds of crashes are not only extremely common this time of year, but they can be incredibly difficult in terms of establishing liability. Attempting to obtain compensation can quickly turn into a battle for those who have been injured or those who have lost a loved one. The biggest issue is attempting to determine who is at-fault. 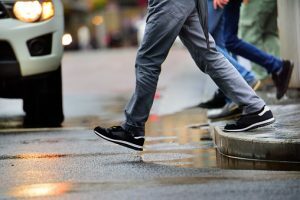 While it’s easy to blame the weather, the greater factor is that typically, drivers are traveling at rates of speed that are too fast for the conditions. When those motorists then encounter ice-slicked roads or sudden low-visibility due to snow squalls, the results can quickly turn tragic. USA Today recently reported that there had been at least one pileup somewhere in the country each day since Dec. 1. 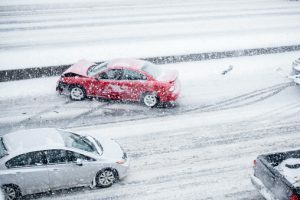 In all of 2013, reporters at the newspaper counted 107 highway pileups on U.S. roads, with more than half of those triggered by bad weather, mostly snowstorms, icy roads and freezing rain. The majority of those wrecks occurred between December and February. Drivers have to bear in mind that posted speed limits take into account the safest speed for optimal conditions. Any time inclement weather is even a possibility, drivers need to proceed with caution and reduce their speed. The I-5 incident was rare only in that someone was killed. In most reported pileups, vehicle occupants survive. However, many sustain serious injuries. The National Highway Traffic Safety Association has reported that the average critically injured survivor of a car accident will incur roughly $1.5 million in costs. But whether victims are actually compensated often depends on the experience of their personal injury attorney, who must be dedicated to thoroughly investigating the negligence and liability of each vehicle involved. Insurance claims adjusters will be working diligently to prove that their own firm carries little to no liability. Unfortunately in a fair number of these cases, determining liability could be an impossibility. For example, the largest interstate crash in Ohio history occurred last January, involving some 90 vehicles and resulting in the death of a 12-year-old girl. Investigators spent months sorting through the details of the crash. In the end, a 260-page report found it wasn’t possible to determine fault. 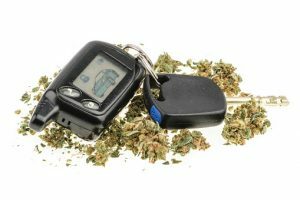 In these cases, individuals will likely be filing claims with their own insurance company. Here again, having an experienced attorney on your side is to your benefit. 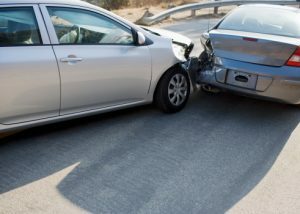 Contact Portland car accident lawyers Zbinden & Curtis today at (503) 287-5000 or by visiting www.zbinden-curtis.com for a free case consultation.